Kitchen planners know that your space needs to be functional, easy to navigate and beautiful, so we've looked at what they really rate in terms of bespoke kitchen additions and brought them together in this ideabook. You may have never realized you needed some of these things, but now you won't be able to live without them! - Original article by Amy Buxton for homify UK. 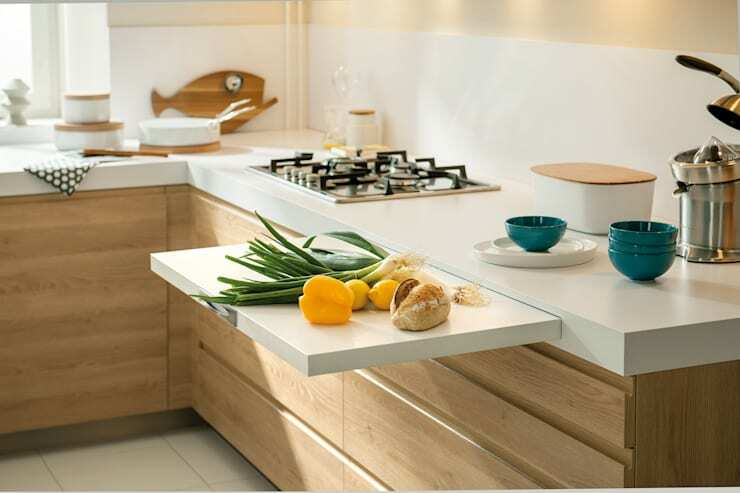 In a small kitchen any extra worktop is a valuable commodity, so these boards are absolutely fantastic. What an amazing space-saving idea! 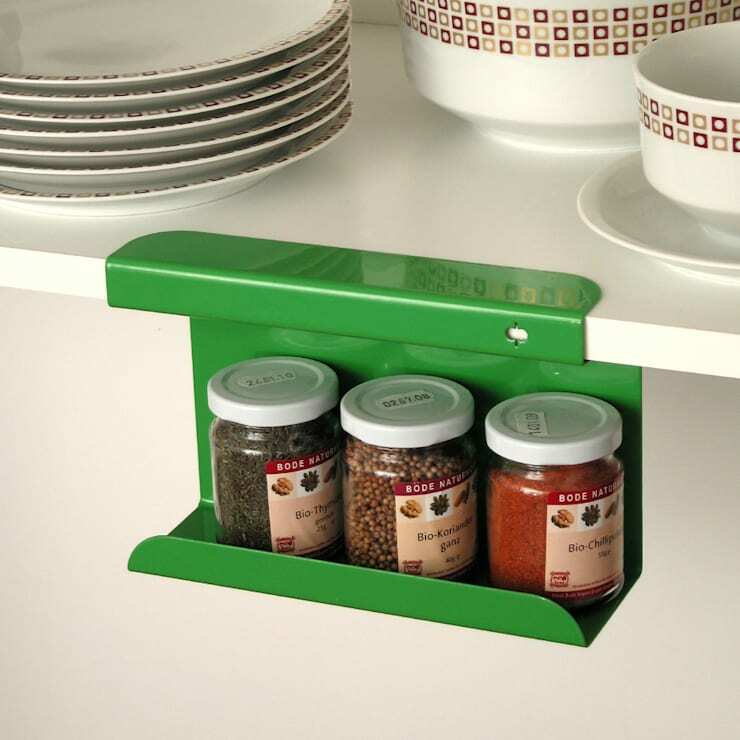 Keep the spices you use the most to hand, but out of the way with these cute little metal racks. 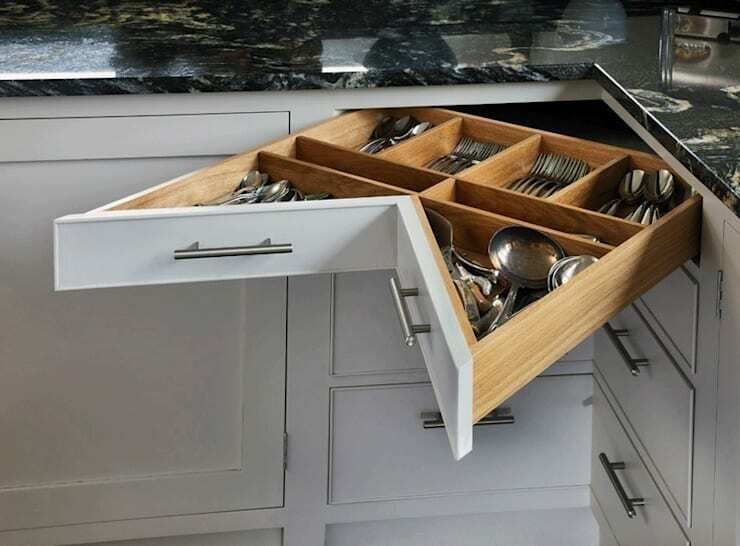 Your kitchen corners are usually dead space as nothing really fits in there easily, but specialist drawers like this one make perfect sense. 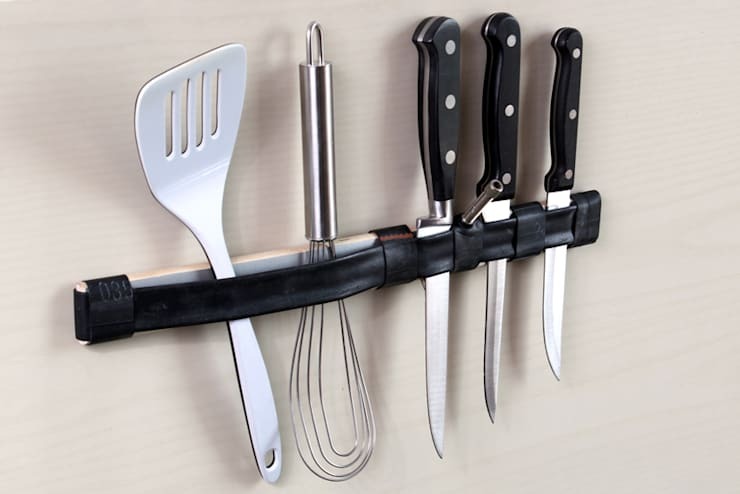 Why take up valuable drawer space and risk an overflow when you can hang your most used utensils on the wall, near your cooker? 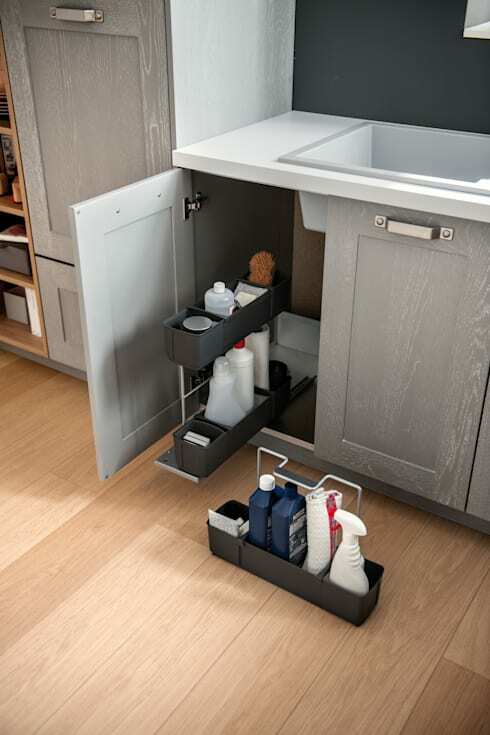 Pull-out drawers in your under-sink cupboards will make keeping your cleaning products tidy and easy to access an absolute doddle. 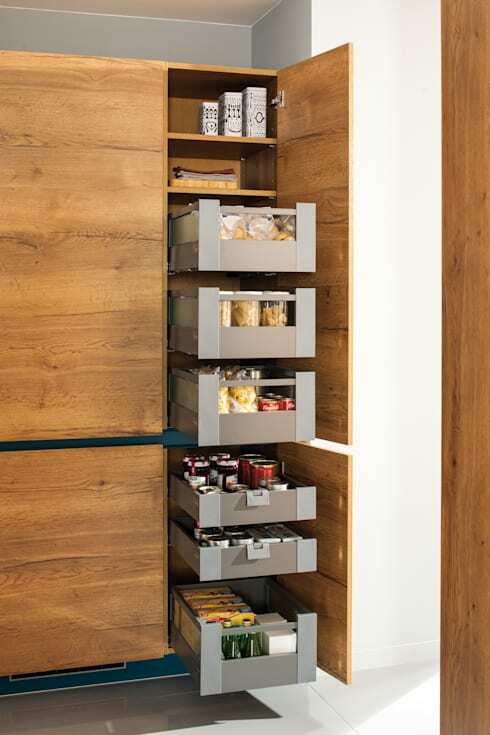 A narrow cabinet isn't a problem if you use it to install the right shelves. Talk about a place for everything and everything in its place! You don't need a dining table taking up valuable space when it's not in use, so this idea is utterly genius! What a great way to get extra value out of an island. 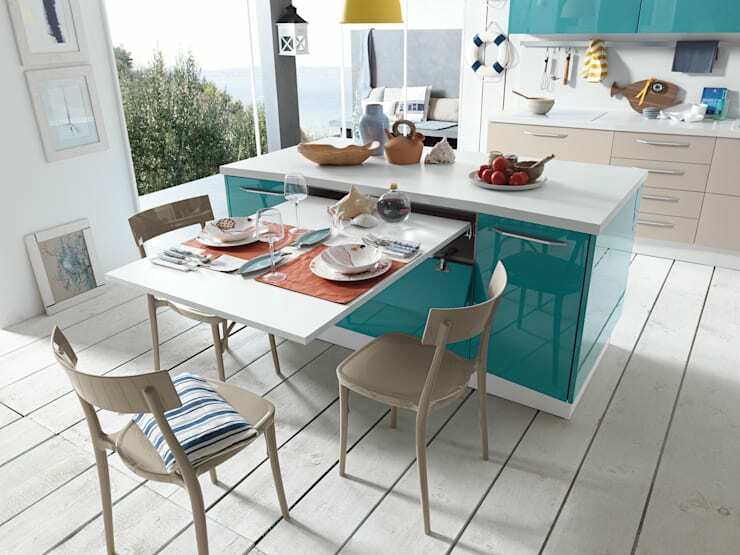 Around a dining table, bench seats not only look great, but also take up less space than singular chairs. They're also a good opportunity for bringing in an accent colour or pattern. 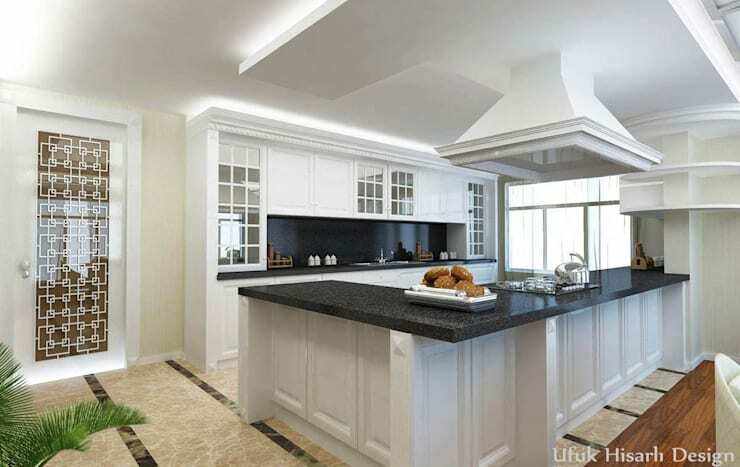 Don't put up with less worktop than you need when you could install an L-shaped island. It's a little unusual, but oh so handy! If a pull-out tabletop isn't quite right for your aesthetic, a compact dining table would be a great investment. Just something with enough room for 4 people would be adequate. We all have books, jars and bottles in abundance in our kitchens, so using dead wall space as shelving makes absolute sense, don't you think? Paint them to match other fixtures and they'll blend right in! 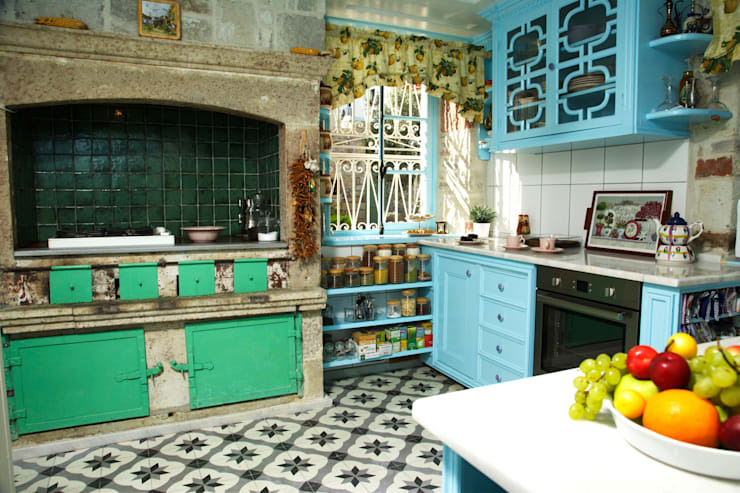 For more brilliant kitchen inspiration, browse through: 7 Thrifty Ways To Redecorate Your Kitchen.